New for the 2018 Trade Season! Take part in one or all three of our customized trade-in events, designed to encourage your members to trade in and buy new clubs throughout the season. Did you ever think it was possible to take trade-ins without ever touching a club? Now it is! 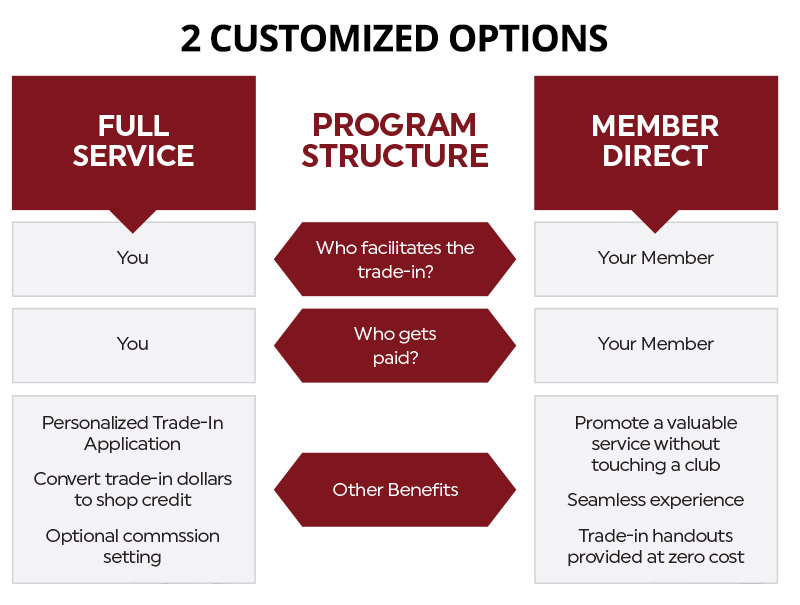 Our new Member Direct service allows your member to handle the trade-in process themselves and get paid directly via check. 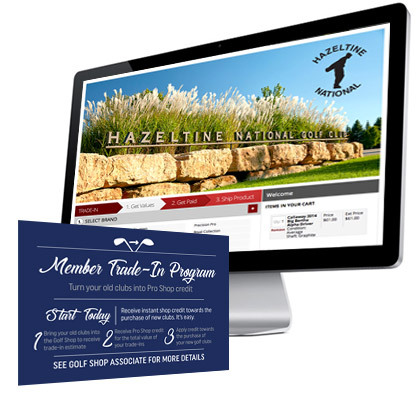 Choose from our of collection of pre-designed email content, digital assets & member trade-in cards to help promote your program. Items include: Personalized Trade App, pre-designed email content, member trade-in cards and digital assets (upon request). Tell us which events & tools work best for you by completing the form below. 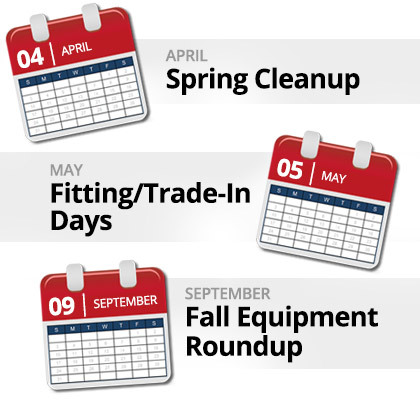 Upon receiving your preferences, we will follow up with your complimentary Trade-In Kit, including both digital and physical assets, to ensure a successful trade-in season.